Head Instructor Rory (Chief Marama) began his martial journey in the 1980’s studying Iaido, then joined his first Taekwondo class in 1989. He has served in the Australian Army where he qualified as a sniper, then worked in security and other federal and state government agencies since 1995. In 2007 he was certified as an OST law enforcement instructor. 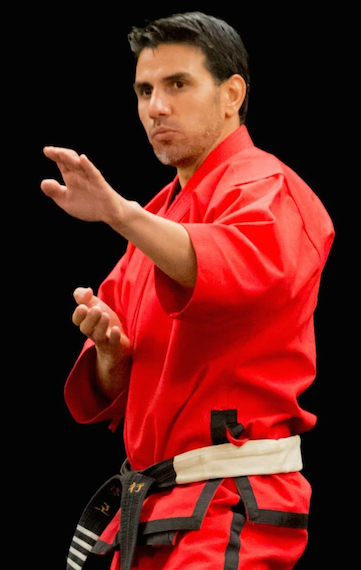 In 2011 he was inducted into the Australasian Martial Arts Hall of Fame and World Karate Union Hall of Fame for 2011 (AMAHOF) which he sees as a great honour, but more importantly he sees it as demonstrating his lifetime commitment to helping others achieve their best in Martial Arts. He holds Advanced Diploma level qualifications in Public Safety and is also Diploma level qualified in Sports Coaching. Currently Rory teaches Brazilian Jiu Jitsu as a Roots BJJ affiliate coach, teaches Taekwondo and delivers private tuition and conditioning on the south coast of NSW. Shugyo is his life now as he moves around the country and internationally assessing Grading applicants, delivering Seminars, hosting Competitions and organising camps for members who wish to be adventurous and experience the world on our Way, through the lens of martial arts. Please contact Rory if you wish have a Seminar at your school, if you are interested in becoming a Shugyo Affiliate, wish to do the Bridging Black Belt course, attend an Immersion / Camp or join a team visiting International destinations. BOOK Rory for a PT or Event HERE!